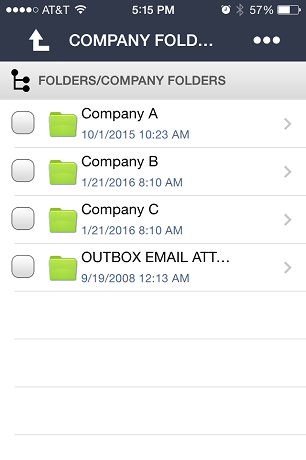 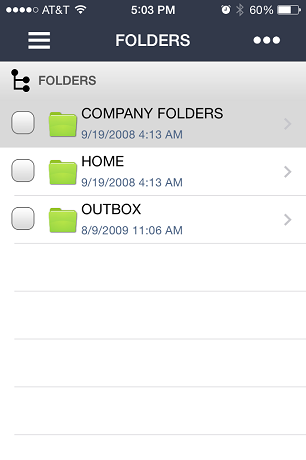 Touch folders and subfolders to open them and view their contents. To go back to the previous folder, touch the up arrow in the top left corner. 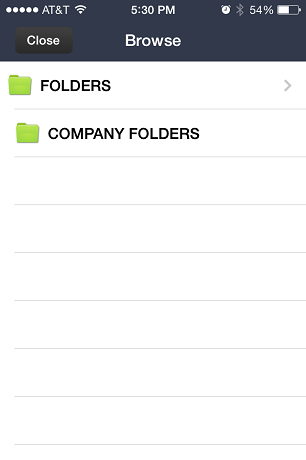 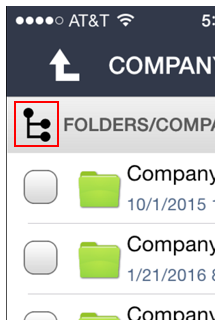 To browse the entire folder path for a specific location, touch the folder tree icon and choose a folder.